I few weeks ago I contacted Princeton Tec, a headlamp company that is based in New Jersey. Over the winter the wiring on my Apex headlamp broke off due to the extreme cold–many days at 25 below zero here in Alaska– and a whole lot of night runs with my dog teams. When I spoke to the customer service rep they said box up the headlamp and send it to them for repairs. They said it could take up to ten weeks. I mailed it off realizing that there wouldn’t be anymore night runs with the dog teams for a while and I even started looking around for a new headlamp at REI. 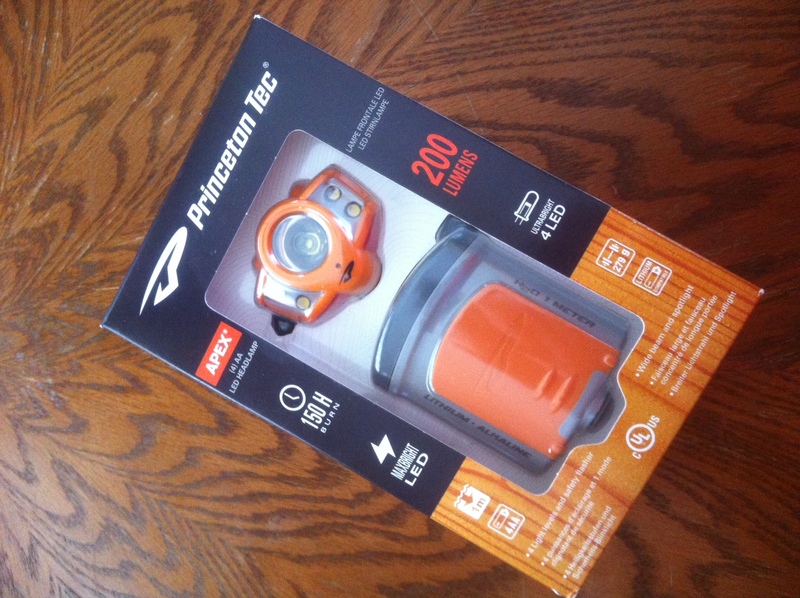 This week a box arrived from Princeton Tec and inside was a brand new headlamp! I can’t believe it! Not only did they get it back to me in just a few weeks but they replaced my old, worn out headlamp that I had used for the last two winters. A headlamp is a vital piece of equipment for a musher and each one of us have our preferences to who we like. Some of us like the fancy-dancy Lupine models that can run upwards of a thousand bucks, others like the MamMut ones. Many of us like the models by Princeton. After seeing how Princeton Tec runs their business, I may be a customer for life!